Located in South West England, the county of Somerset borders Bristol, Gloucestershire, Wiltshire, Devon and Dorset, and has a coastline along the Bristol Channel. With a population that’s growing towards one million, Somerset has a wide range of properties including some that make the most of the county’s beautiful rural landscapes. At My Home Move Conveyancing we’ve been developing our knowledge of property markets like Somerset’s since 2001, allowing us to bring our clients across the county an outstanding, specialist conveyancing service. When buying or selling property in Somerset, you need to instruct property lawyers to carry out the legal work on your behalf. 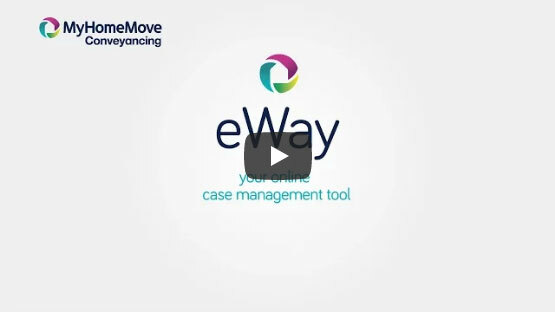 My Home Move Conveyancing offers our clients in Somerset an award winning level of customer service, advanced use of technology and intimate knowledge of the local market. There are no hidden costs with our professional, friendly conveyancing service, which helps us to build trust with our valued customers. Choose us as your Somerset conveyancers, and if you don’t end up completing, you won’t have to pay us a thing thanks to our ‘no completion – no fee’ policy. We’ll assign you a dedicated conveyancer who’ll take care of all aspects of your case from start to finish. You’ll have a consistent point of contact who’s prepared go the extra mile for you, as well as regular progress updates and online access to your account. At My Home Move Conveyancing we’re happy to provide our conveyancing services in Somerset to help buy a variety of homes across the county, whether you want to be in the city of Bath, county town Taunton, or in a seaside spot like Weston-super-Mare. The average house price in Somerset is £218,678. Most sales in the county over the past year involved detached properties, which went for an average price of £380,462. Terraces fetched £225,043 and semi-detached houses sold for £244,932. With evidence of human settlement in Somerset stretching back to Palaeolithic times, the county was also occupied during Roman and Anglo-Saxon times. It has long been a rural, agricultural county, especially after the Industrial Revolution led to the decline of Somerset’s cottage industries. There’s a huge variety in the kind of place you can choose to live in Somerset, whether you want to be in a large city such as Bath, a tiny city like Wells, or surrounded by rolling countryside and sea views. Due to its rural nature, Somerset mainly relies on a network of A roads to connect different parts of the county. The M5 motorway does pass through the heart of the county though, heading to Bristol and Birmingham in the north and Exeter to the south. Plenty of places across Somerset have their own train stations, with rail services provided by the West of England Main Line, the Bristol to Exeter Line, the Heart of Wessex Line and the Reading to Taunton Line. Somerset has an education system which is two-tiered in some places and three-tiered in others. Three local education authorities provide state schools across the county, Bath and North East Somerset, North Somerset and Somerset County Council. Some schools have sixth forms attached while others have specialist status and others are independent. A range of colleges provide further education, while the University of Bath, Bath Spa University and University Centre Weston are among the options for higher education. All properties in Somerset will fall within one of the following council tax bands.